Llandudno is one of Cape Town's most desirable residential areas. 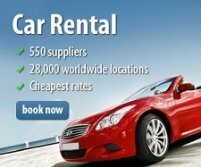 To get there, it is a short drive along Victoria Road from Camps Bay or over Suikerbossie from Hout Bay. 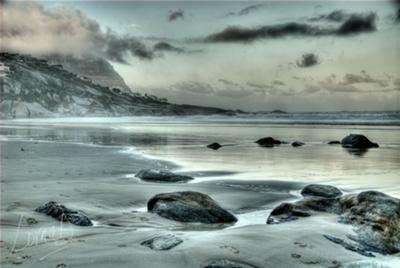 The beach is another one of Cape Town's many photogenic beaches. The white crescent shaped beach lies at the base of the steep slopes of the Twelve Apostles Range and is flanked by huge granite boulders. Here is excellent surf and it is relatively protected from the winds. The beach is a popular spot to view the sunset in Cape Town. Parking is a bit of a headache as there is little parking. Please be considerate and be sure not to block a driveway. There are no shops or restaurants here and your only chance of buying anything, is from vendors selling drinks and ice-creams. The boulders at the southern side also offer some great walking with awesome views and so does the stretch along Sunset Rocks past the wreck of the Romelia to Sandy Bay. 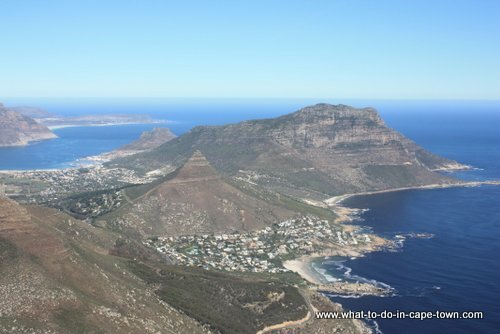 An aerial view with Hout Bay in the background. Clifton is known for skimpy designer swimwear, high-fashion sunglasses and well-toned bodies. Yachts, speed boats and jet ski's come and play in the bay giving it the atmosphere of a Mediterranean resort. Set against the Twelve Apostles mountain range, Camps Bay beach is one of Cape Town’s most beautiful beaches. Good restaurants thrive nearby. It also hosts numerous events like an international beach volleyball tournament and the popular Summer Beach Festival. 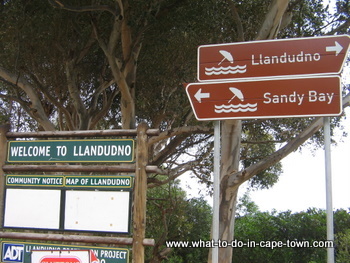 Sandy Bay is well-known as Cape Town's only nudist beach and popular with the gay community. 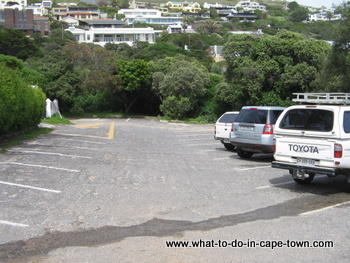 Hout Bay beach is a lovely family beach, popular with horse riders, dog walkers and kayakers. The horse riders have easy access to the beach for rides from stables close by. Return from Llandudno page to Homepage.